"They would ride motorbikes and use hunting dogs to track them down and catch them." Undercover police arrived at a roadside restaurant just in time to catch two men attempting to sell body parts of one of the planet's most threatened wild animals. 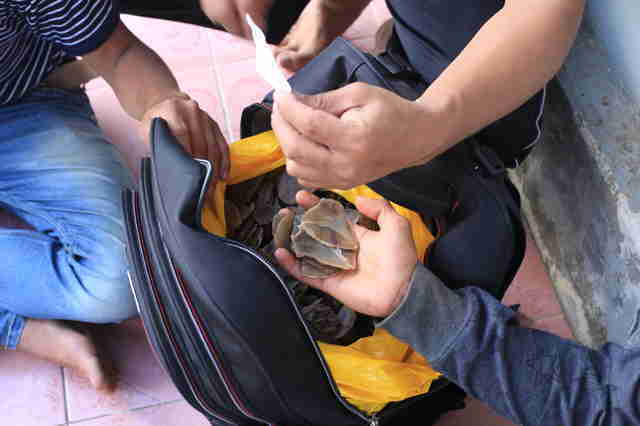 The men, who are 25 and 27 years old, were meeting in West Borneo on May 22 to sell scales from pangolins — shy nocturnal animals who curl up into tight balls when frightened — when police showed up after a concerned citizen tipped them off. 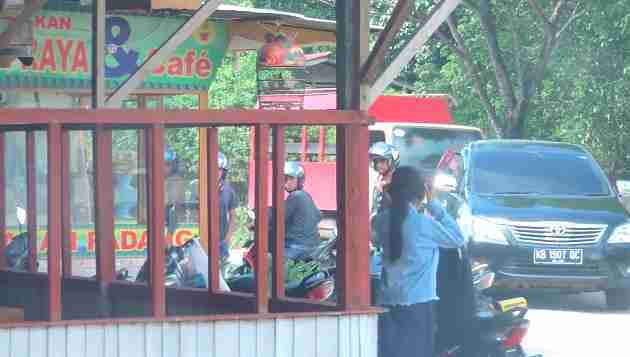 Even though they tried to flee on their motorbikes, police were able to apprehend the suspects, who then confessed to hunting down the endangered animals in their forest habitats. Because there is a high demand for these scales, which are mistakenly thought to have medicinal properties in Asia, they are worth a lot of money. 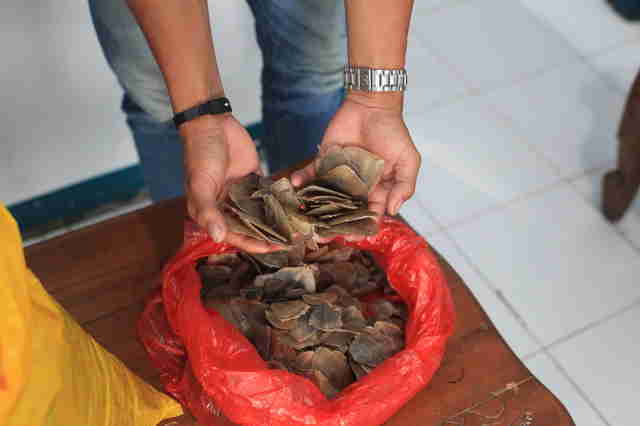 The poachers, who had eaten the meat of the pangolins they killed, planned to sell the scales for 3.2 million Indonesian rupiah per kilogram (equivalent to $228 USD). 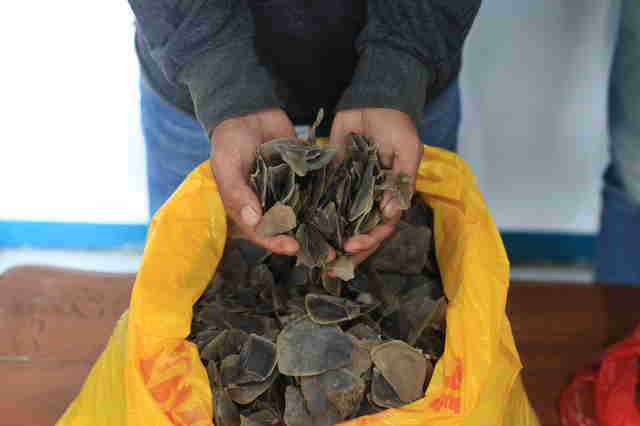 They had in their possession 9.45 kilograms of pangolin scales. The men were waiting for their buyer to arrive when they were caught. 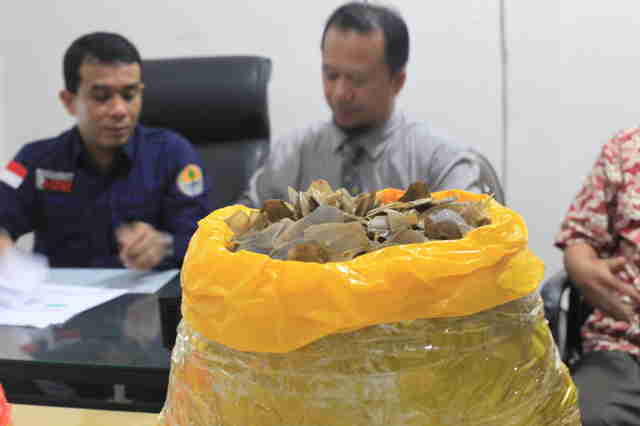 The buyer — who is believed to be part of a larger network that smuggles pangolin parts from West Borneo to Vietnam and China to be sold — is still at large. "They admitted that for the past three years they had been hunting pangolins in the forest at night," International Animal Rescue (IAR), an organization that works with local governments to protect animals like pangolins, wrote in a release about the arrests. "They would ride motorbikes and use hunting dogs to track them down and catch them." 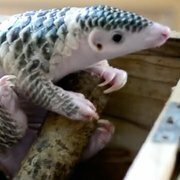 Even though trading pangolins or their parts has been internationally banned, trafficking is still rampant. It's estimated that one million pangolins have been stolen from the wild and killed over the past decade. “The illegal wildlife trade in general is pushing entire species to the brink of extinction," Karmele Llano Sanchez, program director of IAR Indonesia, said in the release. "We simply can’t allow this to happen." “Pangolins represent yet another species pushed to the edge of extinction as a result of the human thirst for wildlife products," Adam Miller, executive director of Planet Indonesia-USA, added. "It will take a global effort of stakeholders from local communities to top-level government agencies to save this amazing species from extinction." Even though Indonesia has a relatively robust economy, many of its citizens are very poor — 11 percent of Indonesians are living in poverty and 40 percent live just barely above the poverty line — which can be one factor driving poachers in general. The men face five years in prison and a large fine for the offense. You can help save pangolins from traffickers by making a donation to IAR and Planet Indonesia.